Hello there! 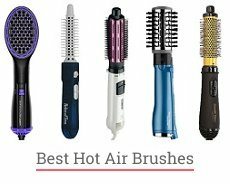 I’m Monica, founder of Mystraightener.com, and today we’re going to review some of my favorite masks. It’s an extremely beneficial product, especially for those with dry, damaged or color-treated hair. It moisturizes, nourishes, and softens dull, lifeless strands – don’t you already want to give it a try? Hold on a second! First, take a look at the reviews to pick the best one for your hair type. Don’t want to use a store-bought product? Well, then make the best DIY hair mask on your own! And I will give you a couple of recipes and show the benefits of essential oils that you can add to your homemade hair mask. Ready to start? Let’s go then! 2 Best Oil for Hair Mask – How to Choose the Right One for Your Hair Type? 3 How to Make the Best Homemade Hair Mask for Damaged Hair? 4 Best Hair Mask for Any Hair Type – We Nailed It! Here are my top 17 products for any taste and budget. 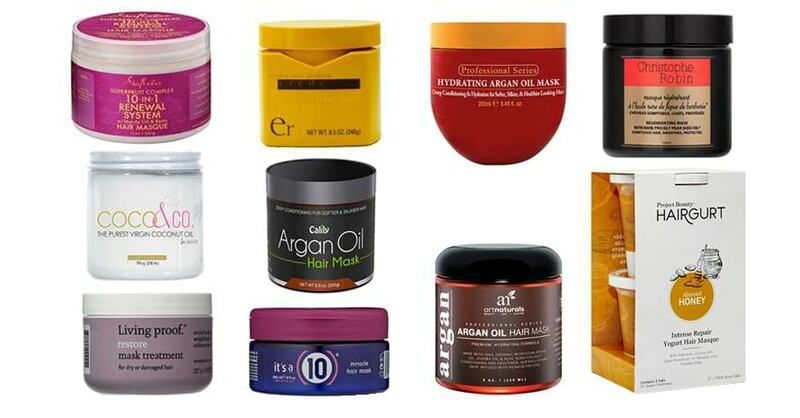 Whether you need a hair mask for fine, damaged or color-treated hair – you can find it here. 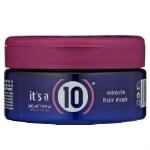 It’s a 10 is a hair care line of 10-in-1 multi-purpose products, and this mask is no exception. It restores moisture and elasticity, softens and detangles your locks. This product is meant for dry, damaged, heat-styled, and over-processed hair. 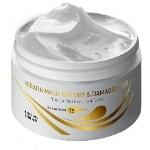 But don’t overuse it – it’s better to apply this hair repair mask once a week or less frequently. Otherwise, your hair may get too soft, which may lead to more breakage. jar lasts a long time. This deep conditioning hair mask was developed to treat dry, colored, and over-processed hair. It replenishes the moisture thanks to olive, meadowfoam seed, and sweet almond naturally derived extracts. Hair feels moisturized, soft, and smooth. You’re supposed to use this mask weekly as it features a rather concentrated, powerful formula. It’s a cost-effective product – you will need just a small amount of it to hydrate even the most dried strands. in rare cases, might dry hair out. If you’re willing to take proper care of your color-treated tresses, that is a product just for you. Not only it restores moisture to dry and damaged hair but also features an anti-fade system for maintaining the color. Plus, the UV filters help to protect your colored locks against sun damage. After using this hairmask, hair looks healthier, soft, and shiny. Besides coconut oil, the list of ingredients includes vitamin E, shea butter, essential oils, and fatty acids – not a bad mix for your precious locks. 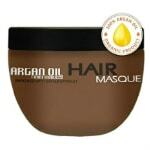 This mask moisturizes, conditions, and nourishes your hair, making it soft and easy-to-manage. Also, it helps to repair and strengthen damaged, dry, and over-processed strands. To me, it’s the best hair mask for fine hair – it adds a bit of volume without weighing hair down. leaves hair soft, shiny, and manageable. If you’re the one to suffer from dry, brittle hair – look no further, it’s a mask just for you! It hydrates, repairs, and nourishes your locks, breathing life into dry, damaged, and over-processed hair. Also, this treatment promotes new hair growth and strengthens weak strands. It will leave you with healthy-looking, shiny, and manageable hair that is easier to brush. expensive, especially for use on long hair. Moisturize, nourish, and smooth your hair with this deep condition hair mask! Organic mafura and baobab oils help to make hair softer and shinier when manuka honey revitalizes dry strands. Also, this product leaves you with more defined, well-moisturized curls that are full of life. 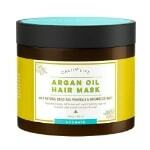 It’s a great mask for fine, porous hair that is prone to frizziness. Last but not least, the price is rather attractive, compared to the peers. for some people, the scent is overpowering. Have you ever used tomato extract to nourish your mane? Well, this product will give you such an experience. It’s designed to moisturize and repair chemically processed hair. Your locks will be soft, smooth, and manageable after using this product. Also, it can help to soothe dry itchy scalp. hair is soft, smooth, and easy-to-manage. expensive for the amount you get – the container isn’t even full. This macadamia hair mask is made to treat coarse, damaged, colored, and hard-to-manage locks. It seals in moisture, defines curls, and adds body and shine to your hair. Caffeine encourages hair growth while aloe vera helps to soothe the scalp. Also, there are 7 essential oils that work in sync to bring life into dry, brittle hair. To me, it’s a must-have for those who have split ends or over-processed strands. hair feels thicker, softer, and more manageable. You will see noticeable results after using this mask about 4-5 times – hair gets silky soft, smooth, and easier to manage. This natural hair mask is made to repair and strengthen damaged and over-processed hair, including color-treated one. Also, it helps with hair loss and reduces frizz. 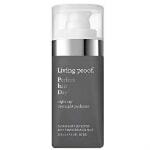 The big plus for those who prefer natural cosmetics – this product contains natural ingredients like argan oil and more. 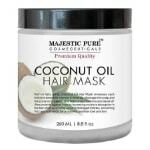 It’s an amazing mask for softening dry, coarse or damaged hair. It will make your tresses not only soft but also shiny, silky, and more manageable. 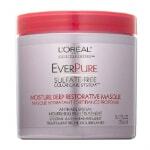 It helps to repair the breakage and doesn’t fade the color. Also, I highly recommend this product to those with curly hair – it eliminates frizz and flyaways, retaining the shape and the curls themselves. This mask is developed specifically for thin to normal hair. After using it, hair has more body and volume. Also, the mask helps to repair the breakage, soften your strands, and strengthen hair without weighing it down. The formula includes Moroccan argan oil, keratin extract, wheat germ oil, and vitamin E.
TONYMOLY is a relatively young Korean beauty brand. 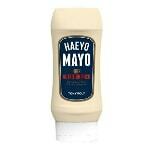 Their Mayo hair mask is meant to moisturize, nourish, and soften dry, damaged hair. Also, it aims at eliminating frizz and smoothing split ends. Shea butter and macadamia seed oil help to hydrate dry strands when egg yolk extract makes hair shiny and healthy-looking. 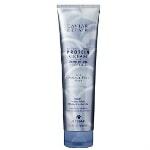 Formulated with strand-building proteins, this leave-in conditioner helps to strengthen hair, fill in tears in the cuticle, and protect your locks against breakage. It’s a great treatment for coarse, porous, and damaged hair – this product will make it softer, smoother, and more manageable. 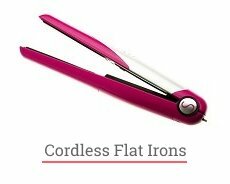 Also, it controls frizz and helps with split ends. leaves you with soft, smooth, and bouncy locks. Have it all with this Calily hair mask! It moisturizes, it nourishes, and it helps to repair damaged strands. Besides Moroccan argan oil, this product contains organic Dead Sea minerals and extracts that help to bring dry, brittle hair back to life. It will leave you with soft, smooth, and shiny tresses that are easy to manage. 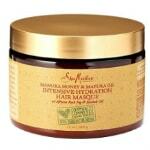 This 100% natural hair mask is meant to moisturize and revitalize dry, damaged hair. Honey helps to seal in the moisture, and sage stimulates blood circulation. Babassu oil nourishes the strands and calms down itchy scalp when olive oil adds shine and softness. As a result, you get soft, manageable, and easy-to-detangle locks. And the scent is just amazing! relatively safe for color-treated hair. expensive to use on long thick hair. 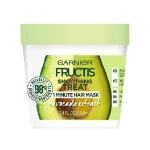 This mask works wonders on bleached and colored hair, making it soft, smooth, and silky. It aims at protecting and extending the life of color, preventing future damage and dryness at the same time. Argan oil, macadamia oil, and aloe vera help to moisturize and nourish your tresses, encourage hair growth, and add that vibrant shine. It’s an excellent product for controlling the frizz that reduces tangling and doesn’t weigh hair down. Who said that a good mask should be expensive? This affordable product proves to be quite effective. You can use it as a mask, a conditioner or a leave-in conditioner. Avocado extract aims at smoothing and softening your hair. 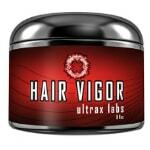 As a result, you get silky soft, shiny, and more manageable locks without weighing down. no silicones and no parabens. Best Oil for Hair Mask – How to Choose the Right One for Your Hair Type? Depending on your hair type and overall state, your mane will probably benefit from at least one of these essential oils. You can use them alone or add them to your homemade mask, creating the unique elixir for your precious tresses. 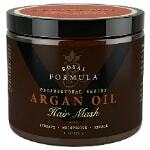 Well-known argan oil helps to soften dry, frizz-prone hair, making it shinier and easier to manage. Also, it’s a great option if your hair is prone to oiliness. Jojoba oil is known for its antibacterial properties. Also, it’s a great moisturizer. It’s perfect for dry, damaged hair and those with dry scalp issues and dandruff. Use macadamia oil on extremely dry, over-processed or damaged hair. Coconut oil is considered to be perfect for all hair types. Still, it’s especially useful for dry, damaged, or dull hair. It keeps your scalp healthy, strengthens the strands, and helps to repair split ends. Almond oil is a great help for those suffering from dandruff. Also, it moisturizes, protects hair against breakage, and promotes hair growth. Abyssinian oil is very moisturizing, yet light in texture – this makes it a perfect oil for fine, thin or greasy hair that easily becomes lank. Use baobab oil to encourage hair growth – it contains vitamins A, D, E, and F.
No matter how beneficial the oil seems to be – don’t overuse it. Essential oils don’t dilute in water, so never apply them directly on your scalp or hair. Mix it with a carrier oil or add to a homemade hair mask. Make sure that you’re not allergic to the oil you’re going to use and that you won’t get any adverse reactions, especially if you’re pregnant or breastfeeding. How to Make the Best Homemade Hair Mask for Damaged Hair? Honey and milk. Take ½ cup full-fat milk and 1 teaspoon honey, warm up the milk a bit, add honey, and stir the ingredients until fully dissolved. Put the mix into a spray bottle and spray it onto your hair and scalp. Put on a shower cap and leave the mask on for about 20-30 minutes. Then, rinse it off. Finally, wash your hair and let it air dry. Honey attracts moisture literally from the air because it’s a natural humectant, and milk will make your hair soft and flexible. Plus, this mix helps to relax natural curls a little bit and has a mild bleaching effect, so if you’re not a fan of straight lightened hair – go for another hair mask. Avocado and egg yolk. You will need ½ an avocado and 2 egg yolks. 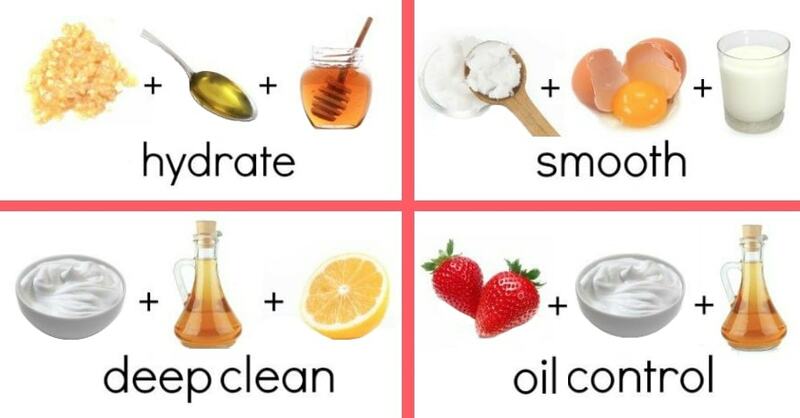 Mix the ingredients, apply them to wet or dry hair, and let the mask sit for like 15-20 minutes. Then, rinse off the mask and wash your hair as usual. Egg yolks moisturize your hair, cleanse the scalp, and prevent oiliness. Avocado makes your hair softer and smoother, being an excellent solution for dry, frizzy hair. Before applying the homemade mask, make sure that you’re not allergic to any ingredients. And be careful if you’re pregnant or have any health issues. It wouldn’t hurt to consult your healthcare provider. 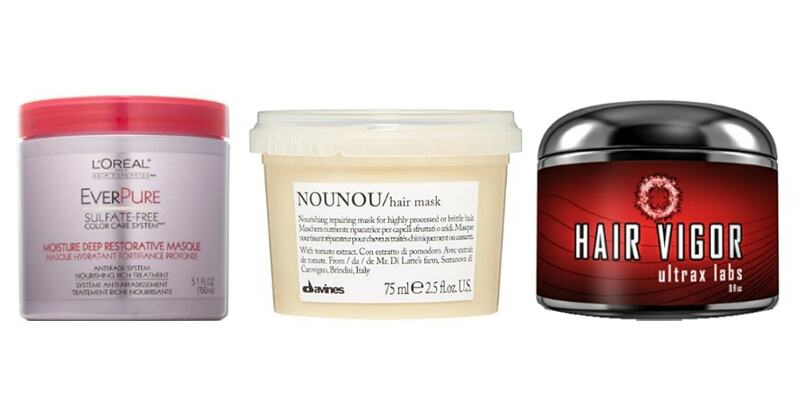 Best Hair Mask for Any Hair Type – We Nailed It! So, now you have as many as 17 hair masks to take your pick. 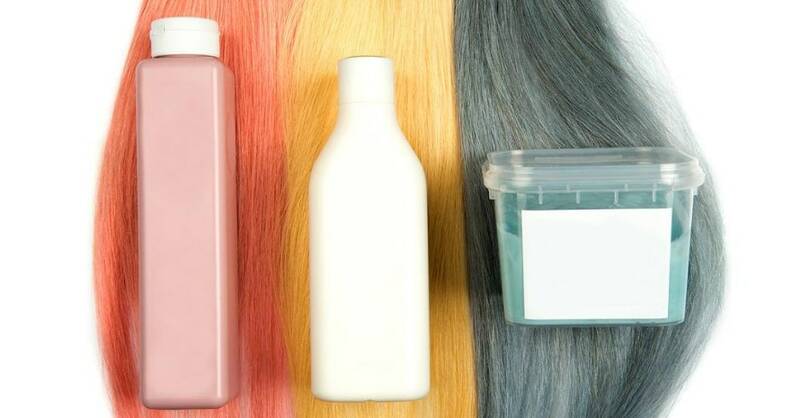 Most of them aim at moisturizing and restoring dry, damaged hair, but there are some products made especially for color-treated locks. And you can always make a mask on your own – half of the ingredients are probably at your kitchen already. Add some essential oils to your DIY hair mask, and voila – you got a perfect product for your hair’s needs! 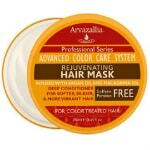 Ultimately, hair masks are a must-have products for those with dry, damaged or color-treated hair. You don’t have to use it every day – just reach for the mask weekly or so. Spend some time to find out what works best for you – I promise, the results are totally worth it! So, what is the best mask for you? Is it helpful at all? How much you’re willing to spend on a good hair mask? Please, feel free to leave your comments below!